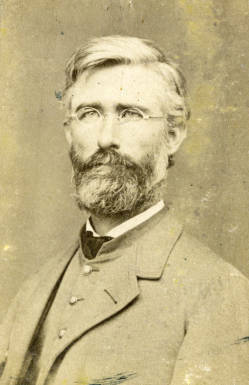 Biography & Genealogy: James Woods Massie, Class of 1849 & VMI Faculty member: Genealogy: Born- May 28, 1826, in Augusta Co., Va. Father- Nathaniel Massie; Mother- Susan Woods. Grandparents: unknown. Married- Sophonisba Breckinridge McDowell, daughter of VA governor James McDowell; one son- James McDowell Massie. Military Record- Civil War; Lt. Col., 51st Virginia Infantry Regt. Career- Teacher, Lawyer. Died- Jan. 26, 1872, in Lexington, Va.